Do you ever say things to your kids like I say to my kids? An eye roll and a, “Just joking. I know you’re a good kid,” apology usually follows. This week though, the joke was on me. And my age. For my birthday, my wonderful grandparents took us to dinner. Afterward, we had brownies that dear Mr. TellBlast made for me. Double chocolate brownies, still warm from the oven. The kids added candles that made the shape of my age, 43. 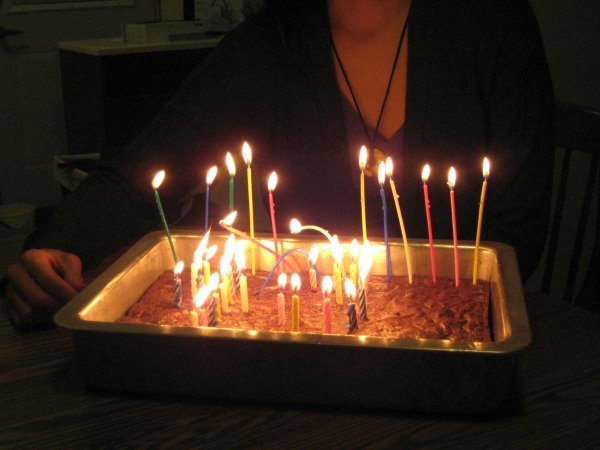 But wait, there was more — I got extra candles. To add a challenge to my old lungs. 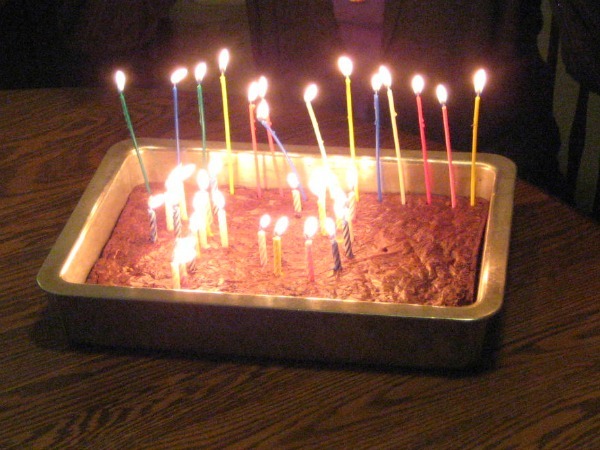 We had some tall skinny candles left over from “G” of GAIN’s birthday, so they were added to the brownies. And they looked impressive. Remember that the brownies were warm from the oven? 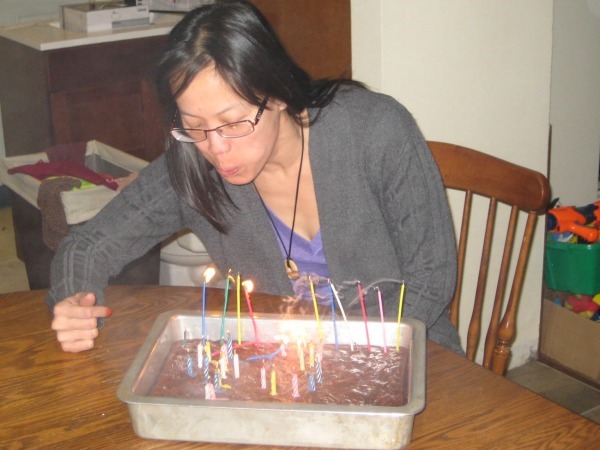 Yeah, they melted all the candles. 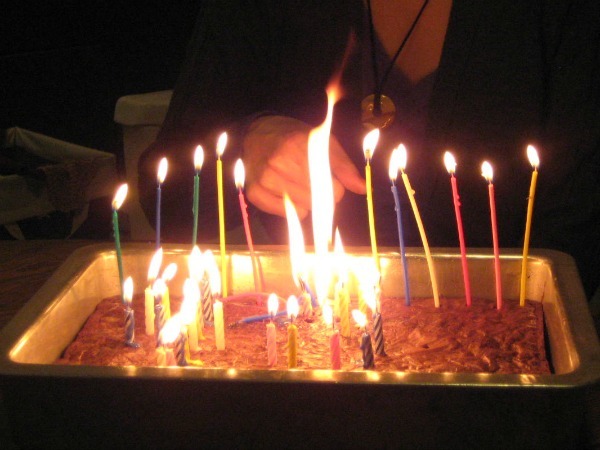 Also, the Birthday Song is kind of long when it comes to watching your candles melt from all the heat of the other candles. I couldn’t blow them out until the song was finished. Most people have wax drips on their cake. I had wax pools on my brownies. With the skinny tall candles, I had memorable flaming pools of wax. They were emitting large amounts of heat. could you blow out the fire in one breath? Thankfully, the house did not burn down while my youthfulness was away. It took three breaths to blow out the flames. This entry was posted in blogging, food. Bookmark the permalink.